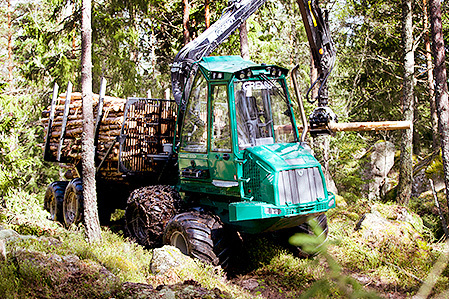 Gremo 1050F4 is a modern version of the popular forwarder 950F, which for more than ten years been the market leader in the Swedish "small class". With 1050F4 we expand and move up a size class. This allows us to increase profitability for the user. 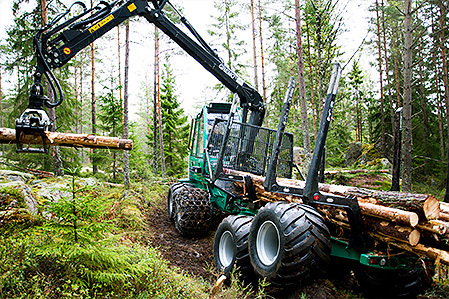 This flexible and powerful forwarder is excellent for thinning work and hours of timber driving. 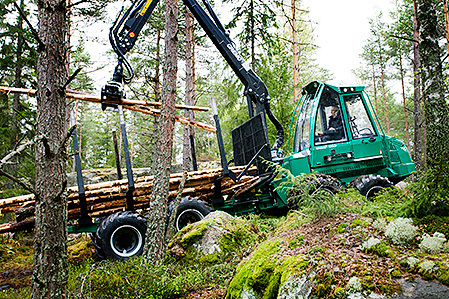 Wetlands are no barriers - just add the bogies front and back, and the machine will move safely ahead. 1050F4 has a strong Cummins engine with common-rail technology. The engine meets the Stage-3 requirements and has a torque of over 600 Nm across a wide rotation range. In addition to the engine strength, it is also light, compact and quiet. The forwarder uses our proprietary software GreControl. 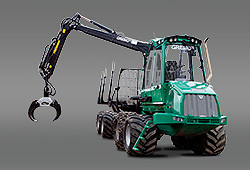 With GreControl it's easy to customize several features for driving, crane type and task. With smart features, it is easy to reduce fuel consumption and improve profitability.